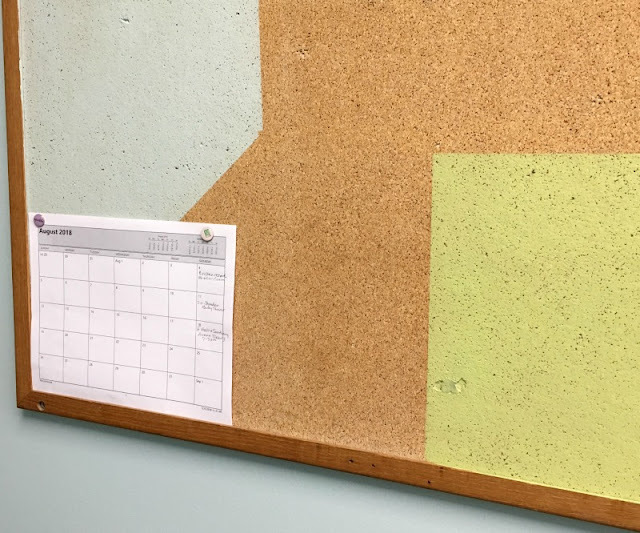 My office at work recently got a new coat of paint, which made me want to spruce up my decor a little. 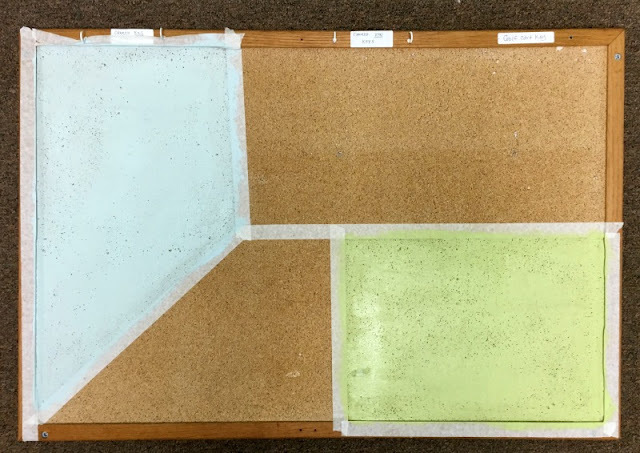 I have a couple of large bulletin boards in my office, so I thought I would make them pretty with coordinating paint colors. 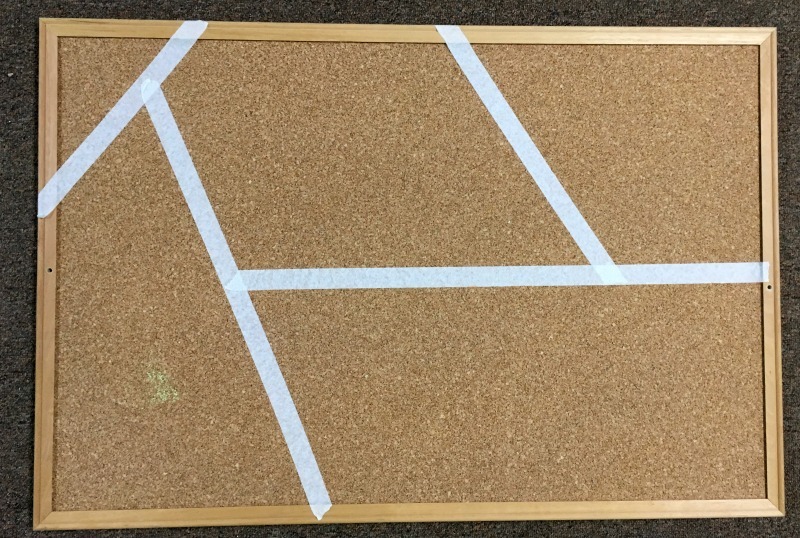 This project is super easy, yet makes a big impact! This is the perfect back to school project, as it gives you a place to organize all the forms and school schedules. You can paint it to match your Command Center, office space, or homework area. 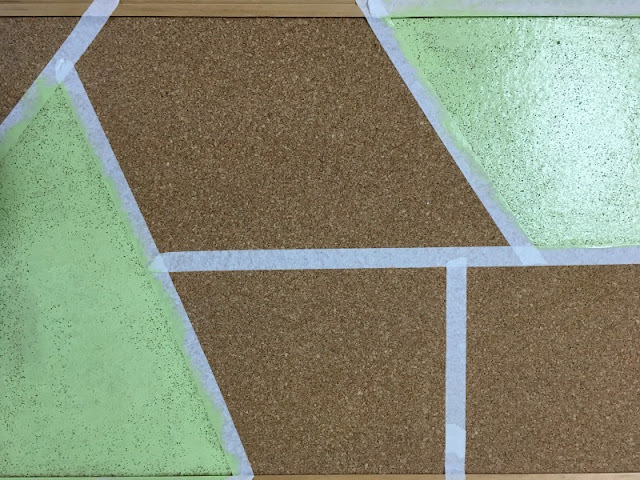 I used the masking tape to tape off a geometric pattern. You can get creative here! 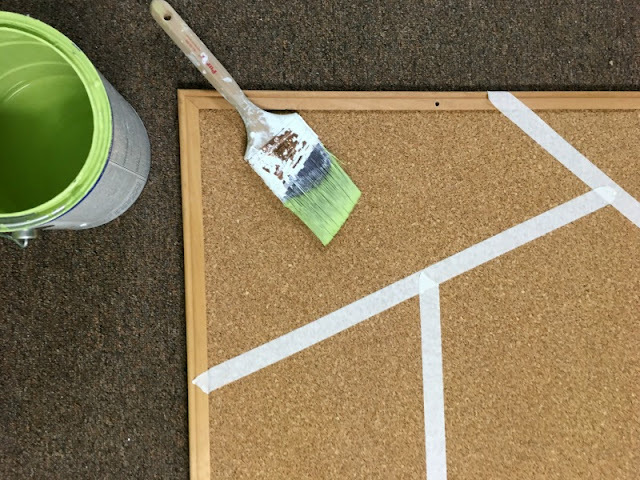 Next, paint the taped off areas in your desired colors and let dry. I only used one coat, but you can do two if you want full coverage of the cork. Remove the tape while the paint is still tacky. Once the paint has dried, hang your cork board. How easy was that?! 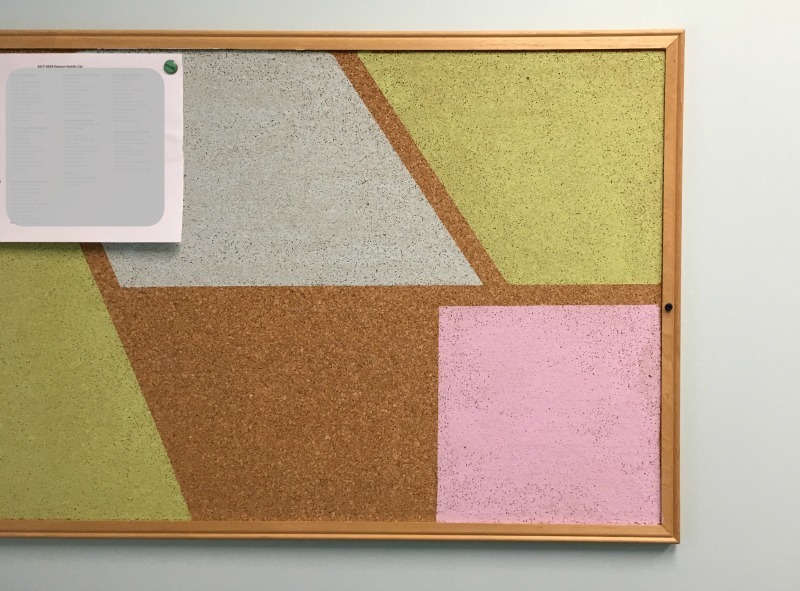 Now, my office has a bulletin board that is functional, as well as a piece of art! 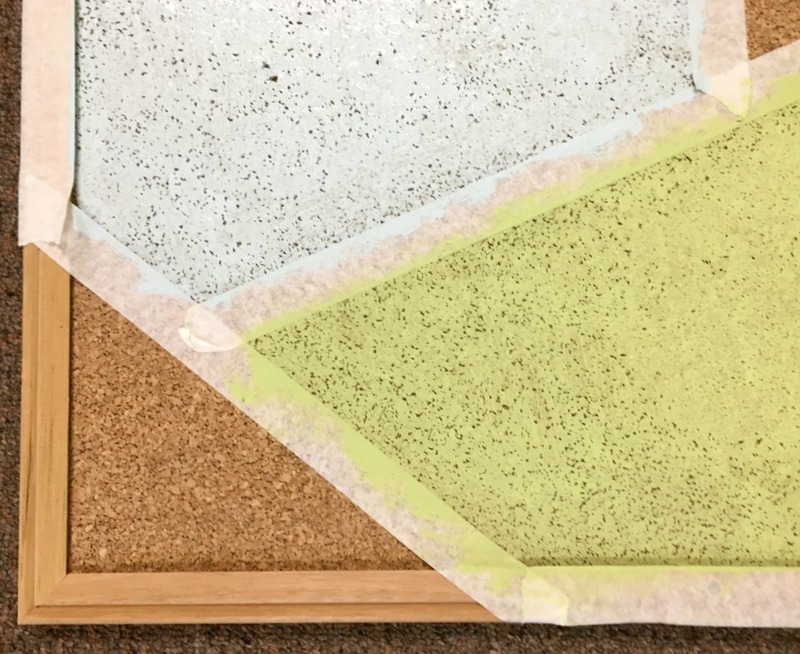 Do you use cork boards to stay organized? I really love the colors you chose! Such a cute idea to liven up a cork board! I've put fabric over them, but I've never tried painting them! Thank you! 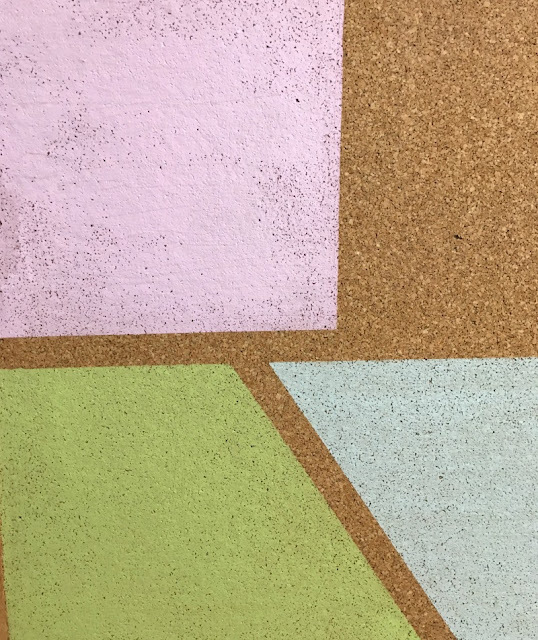 the colors (except the pink) are the colors we chose for the preschool area at my church!